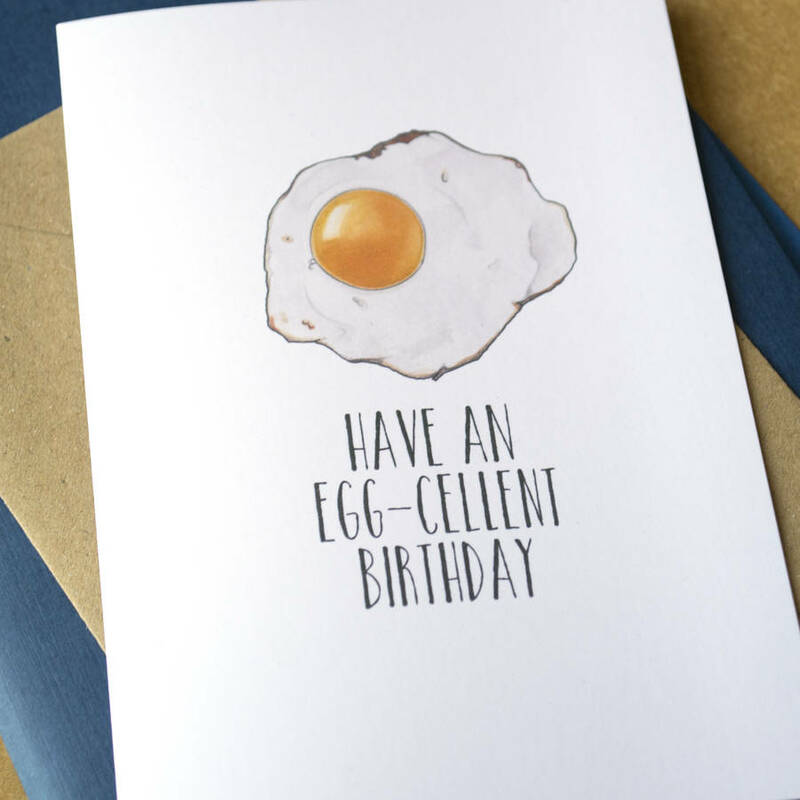 A simple but funny card, suitable to say "Happy Birthday" while raising a smile! 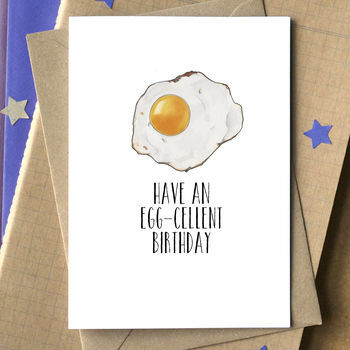 An original little card, made using my illustration of a crispy fried egg, and the accompanying text "Have an Egg-cellent Birthday". 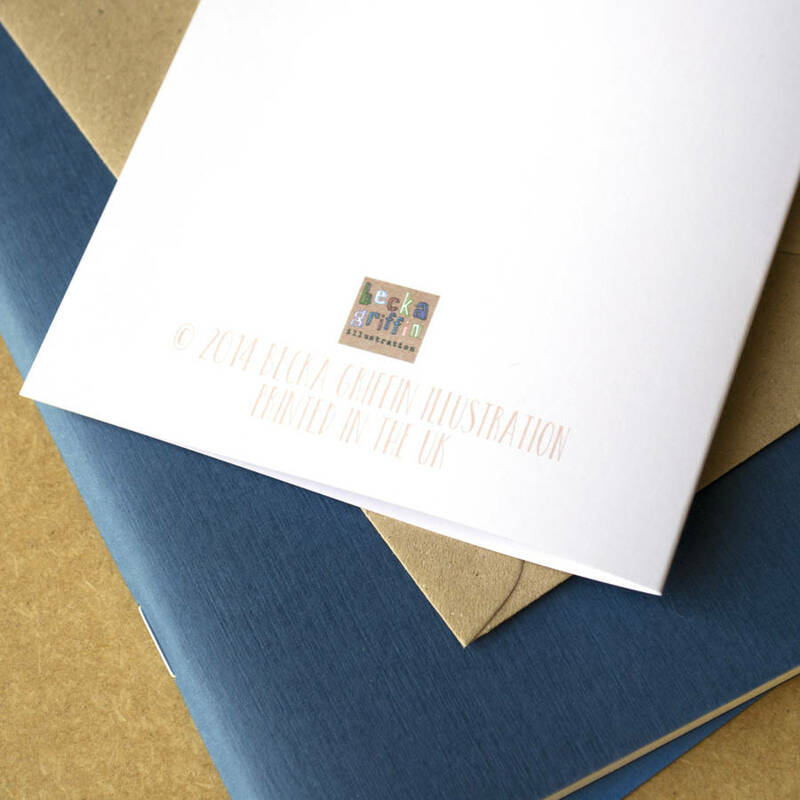 If you would prefer a custom message you can opt for the personalised version. This is a lovely card to give to an egg-lover, or as a birthday card for a friend who enjoys a fried egg. 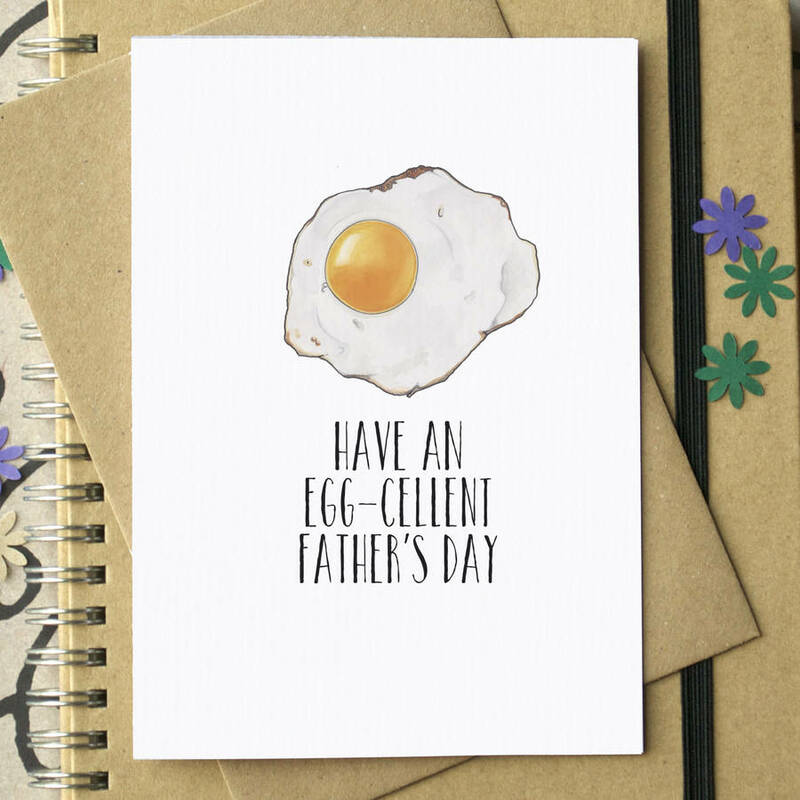 It's also great for someone who loves a good pun. 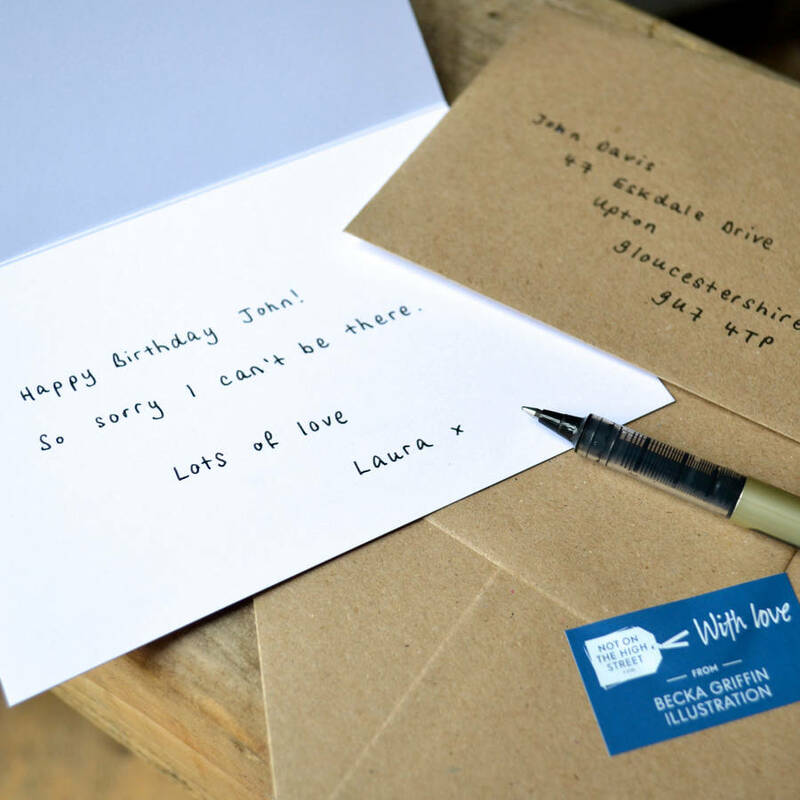 It's left blank inside for your own personal message.